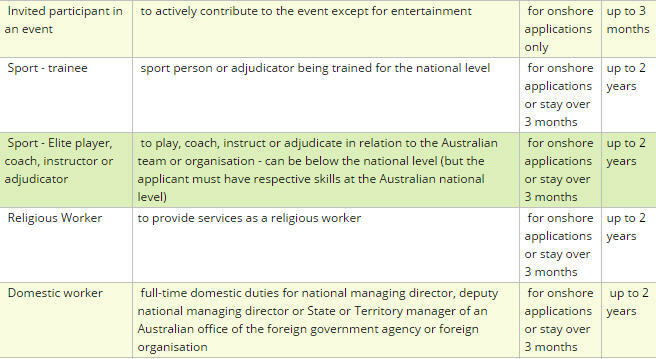 19 November 2016 - New Temporary Activity Visa Framework in effect. 457/186/187 is changing. Read more information about the announced changes from 18 April 2017. The skilled occupation lists have changed. Read more. Further changes from 1 July 2017 - read more here. 457 visa abolished on 18 March 2018 and 482 visa came to life! 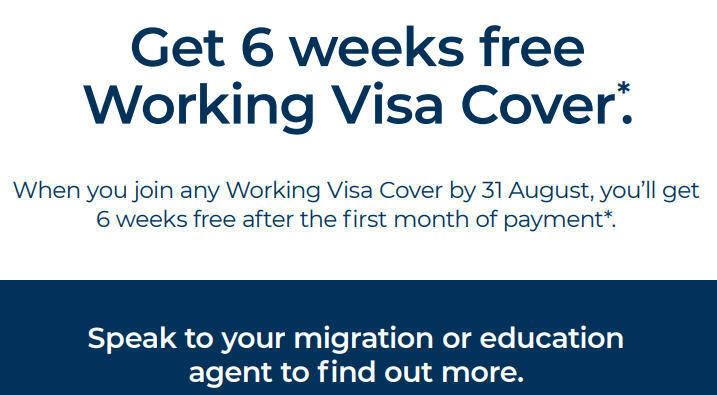 When you join any Working Visa Cover by 31 August, you’ll get 6 weeks free after the first month of payment*. - You’ll receive Australian Government Visa compliant cover and help meet your visa requirements with Bupa. - You can access Bupa contracted private hospitals, doctors and specialists, and have more choice where and when you’d like to be treated at Members First and Network hospitals. - Access to the 13SICK National Home Doctor Service (137425). When you book an after hours, doctor home visit, the doctor may prescribe common medications on the spot, at no charge to you. - Discounted movie vouchers, vitamins, gym memberships, theme park passes and more from Bupa Plus! There are so many offers to enjoy. - For all OVC working visa covers. Contact us if you wish to make a switch to BUPA. We can help you organize your BUPA working visa health insurance. Since the beginning 2015 we have been registering an increased number of questions in regards to Partner Visa applications. No wonder, visa application fees have gone up enormously (onshore/offshore: $7,000)! Applying for an Australian visa might be a long and stressful process. We are here to take the stress off your mind and make sure everything goes the right way. We can guarantee friendly and professional approach. It does not matter if your intention is to come as a tourist, study, work or migrate to Australia, we are here to help! Maybe, you say I am a permanent resident? 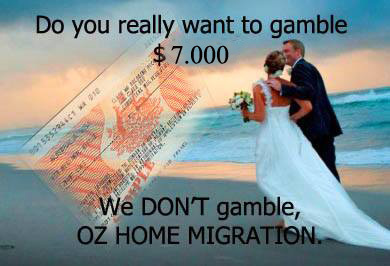 No worries, you might want to apply for a resident return visa or an Australian citizenship... OZ HOME MIGRATION is here for you as well. And if your application has been refused or your visa cancelled? 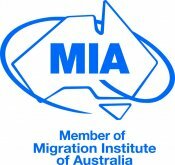 We are happy to assess your application and provide an assistance if you decide to apply for a review of an DIBP (Department of Immigration and Border Protection) decision to refuse your visa or to cancel your visa. Remember! It is important to keep you lawful while you are in Australia. And there is also the last ditch resort.... the ministerial intervention in unique and exceptional circumstances. Does it apply to you? Contact us to assess your circumstances. Of course, we are not limited to the visas stated above. We enjoy new challenges! We are happy to look at your specific circumstances and explore new pathways to your dream. On the other hand, we cannot guarantee that there is a way to your dream. Unfortunately, not every case is always feasible. However, we can guarantee we will do our best to make your dream come true. The government has announced a new temporary parent visa subclass 870 should start from 1 July 2019. Amending Regulations have been published to introduce the previously announced third WHV 417 and 462 visa. A person is required to complete 6 months specified work in order to be eligible for a third 417/462 visa. - while holding a second 417/462 or while the applicant held a bridging visa that was in effect and was granted on the basis of the application for the second 417/462 visa. From 17 November 2018, holders or former holders of 405 and 410 temporary retirement visas (retirees) are able to obtain permanent residence by meeting criteria in specified permanent visas.